Being the Cranky Beer Blogger I am, I can't believe 2011 came and went so quickly, especially with me sitting infront of my laptop and cellphone for uncountable hours. No, of course I didn't drink beer the entire time I was in front of my electronic devices, but beer played a part of my year, mainly for the creation of this blog. This blog started out thanks to a Fifty Two week beer photography & review project I started in 2010, which pushed me to tweet more on Twitter, and that influenced me to do this blog. Here's a list of the beers I found were my bests of 2011. Unibroue Terrible - This has been on my "to try" list for a LONG time now, now it's crossed off! Ölvisholt Brugghús Skjálfti - Possibly the best import "lager" I've had in an incredibly long time. They aren't light on the hops like most breweries. This is by the same brewery that makes Lava Stout. St Ambroise Oatmeal Stout - It's been far too long since I had a St Ambroise, so picking this up in Saskatchewan was a real birthday present to myself! Honourary mention: Best so-far of 2012 is Half Pints' Demeter's Harvest Wheatwine, it's DAMNED honeylicious! 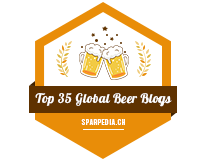 Topping this list off is Alexander Keith's Ambrosia Blonde. This is the worst beer I tried in 2011. First of all, Labatt wanted to do a bit of a macro meets micro project by doing a Brewmasters series, which nearly every brewery seems to do now days. This seriously tasted like Coors Light. After a sip or two, I felt like I was severely ripped off, and would have returned it to the MLCC, but I never return beer. Secondly, the use of the word Ambrosia makes me think of St Ambroise. 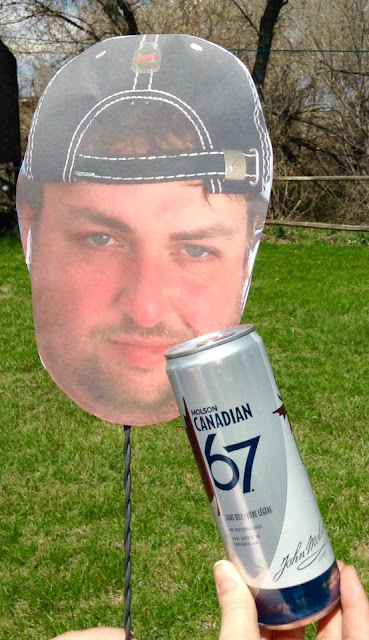 Some of you may remember the legal battles between Labatt and Brasserie McAuslan (the makers of St Ambroise line). Labatt created a line of beer called St Urbain, which confused customers into thinking it was St Ambroise. Honestly, I was fooled. The labels are different, but I honestly thought St Urbain was St Ambroise. Oh, and St Urbain tasted horrible too. I will never try another Keith's Brewmaster beer again. Any beer with the words PREMIUM QUALITY on the label (or even choice hops). Myself and Stephen started to joke back in the summer that if the beer has the words premium listed anywhere - it had to be bad. Sure enough, it was true. Some of these beers include: Minhas Lakeport Creek Lager, Lvivske Lager, Warka Strong (though it doesn't pour like one), Kirin Ichiban (Premium AND Reserve! Double whammy there! ), Castle Lager (the beer that made me realize "Premium" meant bad), Du Moulin and Bitburger. Minhas Imperial Jack Double IPA - I've never tasted such a horrible Double IPA in my life. Steel Reserve 211 and Natty Daddy - Mom brought this beer back from Las Vegas. Not her fault as she has no clue about anything related to beer. More the beer store clerk's fault more than anyone else. I think the woman that got her eye shot out & refused medical help until she finished her beer was drinking a Minhas Creek! @Anonymous: LOL! Likely that or was a 2L of Ft Garry Stone Cold!